Rollout of new Ranger leads new product onslaught. Ford CEO Jim Hackett is talking to employees and dealers about the changes coming to the automaker. Ford isn’t standing still in the face of changing business and economic climate, the company’s top executive said this week. Ford Motor Co. CEO Jim Hackett was also talking up the company’s prospects as he met with dealers and employees this week. At a meeting with some 4,000 dealers in Las Vegas Hackett had stressed that Ford is working on a turnaround plan that will re-invigorating the company’s operations. “Seventy-five percent of our product portfolio will be refreshed,” said Hackett told reporters at an event for employees at the Michigan Assembly Plant, marking the launch yesterday of the new Ford Ranger pickup. 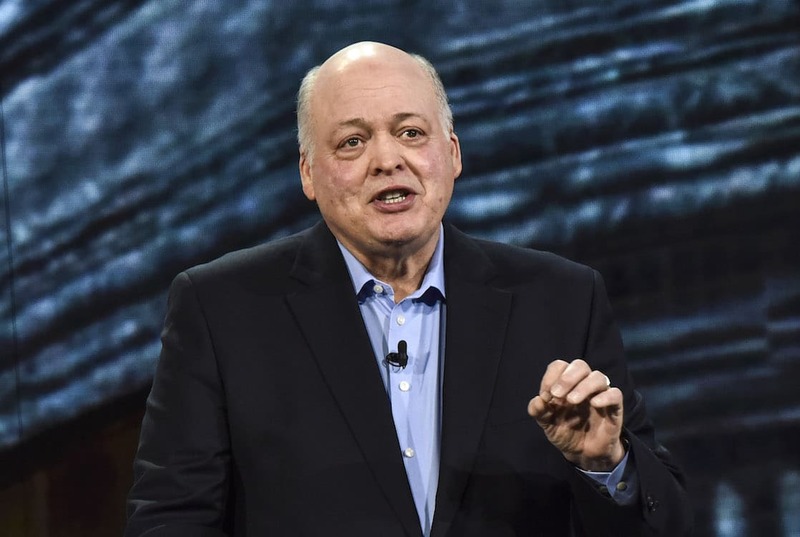 Ford CEO Jim Hackett has talked about a turnaround at the automaker and now it looks like it's happening. The launch of Ranger is only one piece of a broader effort, Hackett said. 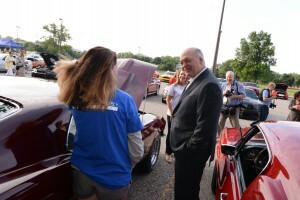 For example, one of the projects outline for dealers was the effort to reduce the time it takes to deliver a new vehicle to customers, Hackett told reporters before mingling with employees. Hackett, told reporters there is not only an excitement about the re-emergence of the Ranger but also of the Ford Bronco, which scheduled to appear in dealerships until 2020. “The world’s really excited about the Bronco,” Hackett said. “We teased are dealers with its development. There are great things going on. There are few surprises with Bronco,” Hackett said. “Ford has an extensive line up of trucks, utilities, special vehicles and cars like Mustang. The Bronco fits right in the center of that group of customers that want an off-road experience and there are so many people driving that vehicle to and from work,” added Hackett. who has been under pressure to show progress in turning around Ford’s fortunes and falling stock price, which hit a new low last week. Ford has spent $850 million for re-tooling the Michigan Assembly Plant to shift it from small car to truck production to make room for the Ranger and Bronco. Hackett’s discussion about Ford’s prospects was limited, however, since the company is scheduled to release its third quarter earnings later this week. This entry was posted on Tuesday, October 23rd, 2018 at and is filed under Asia Pacific, Automakers, Business, China, Europe, Events, Executives, Financials, Ford, Investors, Markets, NAFTA, Personalities, Pickups, Sales, Sales, South America, Trends, U.S./North America, UAW, Union. You can follow any responses to this entry through the RSS 2.0 feed. Both comments and pings are currently closed.